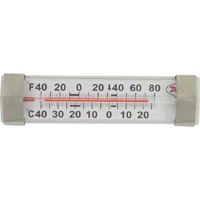 Industrial Thermometer allows user to easily take accurate temperature measurements in any environment. Blue organic fill is non-toxic and allows user to better see the temperature reading. 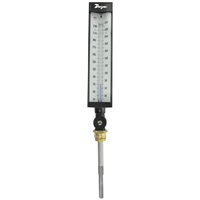 Industrial Thermometer Thermowell reduces installation cost and time by eliminating need to drain systems when servicing thermometers. 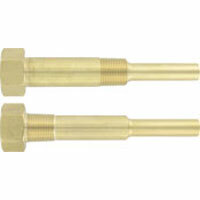 Protects thermometers from high pressure, flow, and corrosive media. Refrigerator-Freezer Thermometer easily monitors temperatures of reach-in refrigerators, cold storage, and walk-in freezers. Can be mounted to a wire rack, on the side wall, or left free standing on a shelf. Highly accurate and ruggedly built.